Kodaline are Stephen Garrigan, Vinnie May Jr, Jason Boland and Mark Prendergast, boys who are in their early twenties and probably could perhaps do with being a little more mature, to make them less 'moon'. That is to say, to demonstrate a more refined approach to women, as opposed to their literal school-boy 'moons' whenever a female hottie appears. It's endearing, if anything. But what the craic really is with Kodaline is they're actually a pretty decent indie band with some really lovely songs. It can't be denied that on first hearing you might recall Coldplay, Mumford and Sons or any respectable indie band of the moment. Yet what this band can offer you is honesty and, yes, a loud heart-felt burst of guitar, piano and honest songs about break ups, it seems. 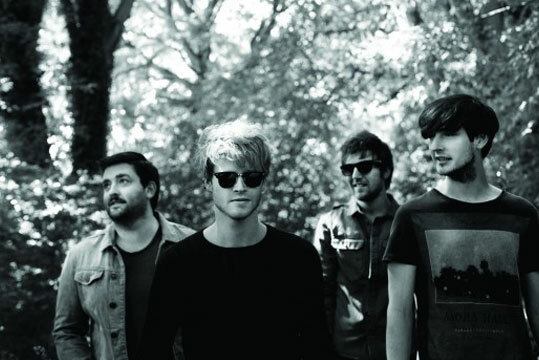 Despite their occasionally adolescent vibes they have been together as a band since 2005 when they were called 21 Demands, only later changing their name to Kodaline in 2011. It's easy to be critical of these guys - their similarity to other bands and so on - but we can't help but love this new track of theirs Love Like This. Guaranteed they'll be playing at all the big festivals come this time next year, for after all, they've got the charm and vivacity to win us all over. Catch these guys play live next at The Great Escape festival in Brighton and pre-order Kodaline's forthcoming album In A Perfect World here.